The Berlin Wall is the most significant symbol of the city’s 28-year-long division. In front of Märkisches Museum, seven original segments of the Wall and a listening station with authentic audio documentation commemorate this period. From 13 August 1961 to 9 November 1989, Berlin was divided into East and West. The Berlin Wall remains to this day a unique and emblematic symbol of that period. 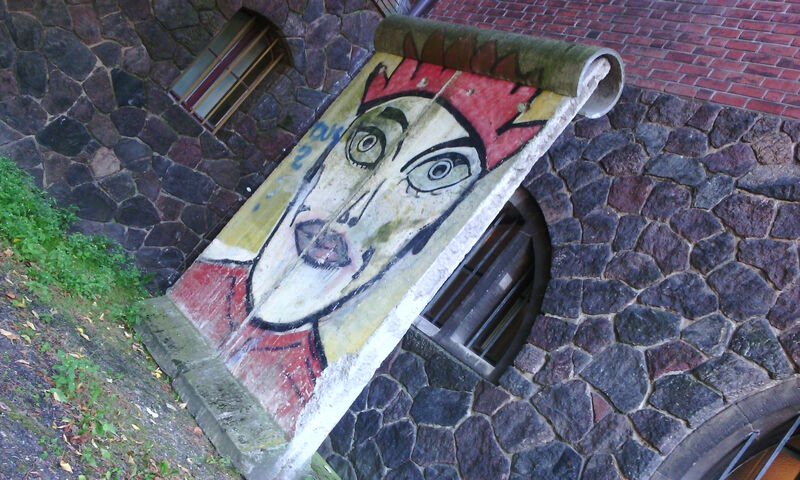 As part of a permanent exhibition that is accessible round-the-clock on the grounds of the Märkisches Museum, two Wall segments display original paintings in a style that is particularly characteristic of the West Berlin side of the Wall in the district of Kreuzberg: The “King’s Head” was painted by the German artist Kiddy Citny in 1985 as part of a long frieze on Waldemarstraße. The Stadtmuseum Berlin is grateful for this generous gift donated by a Berlin citizen. Another piece of the Wall exhibited at the museum features a hatch that provided GDR border guards with an access point to the West. The Federal Foundation for the Reappraisal of the SED Dictatorship has made it possible for us to present these segments of the Berlin Wall and to install a listening station. After the peaceful revolution on 9 November 1989 and the reunification on 3 October 1990, the Berlin Wall quickly disappeared from the face of the city. There are only a few places left where one can still make out the former borderline. 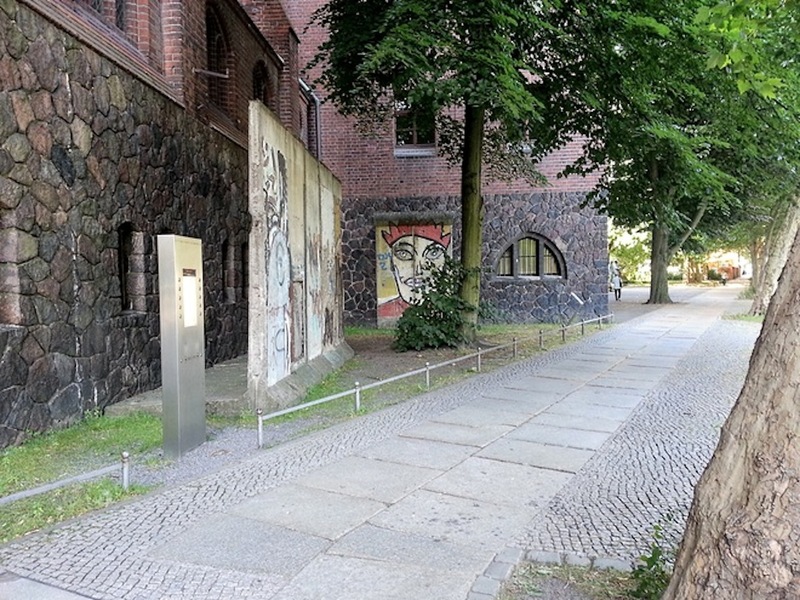 Approximately one kilometre north of their original location, the Wall segments on the Märkisches Museum grounds now provide a reminder of the time when Berlin was a divided city. The permanent exhibition "Pieces of the Berlin Wall" on the grounds of the Märkisches Museum is accessible free of charge seven-days-a-week and all year round. No museum entry is required!